Jane McGirk is a marketing and PR consultant. After 20 years in media and corporate PR, Jane established McGirk PR in 2008. Specialising in PR/Marketing strategy, media relations, online and social media, promotions and event management, Jane has worked with a wide range of clients across the UK, ranging from beauty and fashion to culture and high technology engineering. 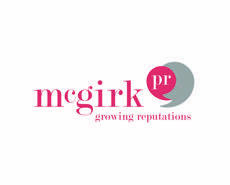 McGirk PR works with you to reach your audiences and get you into the spotlight.